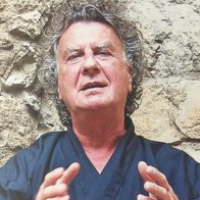 Genro Laoshi has lectured at universities, appeared on TV, held seminars on a variety of spiritual and self-help topics, taught Qi Gong courses and published articles and books on meditation, Zen, motivation and communication, storytelling, body-reading, sexual Kung-Fu, autohypnosis and many more topics. Clifford Stevens (Ki-ichi) was born in the United States. His career included stints as a teacher, journalist, PR manager and translator. He has studied Qi Gong, Zen and meditation with Genro Xuan Lou, Laoshi for many years. His meditation-imparted experiences and the Dharma transmission from Genro have qualified him to be a teacher of Zen.